Rare, sought-after floor plan newly remodeled to perfection. Immaculate single level end unit on third floor overlooking pool area. Wood floors, family room with fireplace, custom shutters, new stainless steel appliances. Newly remodeled with spacious master bath including a large walk-in closet. 2 underground parking spaces. 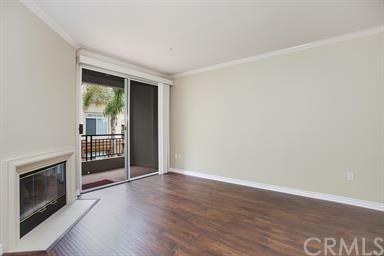 Located in the luxurious gated community in the Regents La Jolla complex. Close to shopping, freeway, and UCSD. Resort style living in this newly remodeled end unit offering 2 bedroo Rare, sought-after floor plan newly remodeled to perfection. Immaculate single level end unit on third floor overlooking pool area. Wood floors, family room with fireplace, custom shutters, new stainless steel appliances. Newly remodeled with spacious master bath including a large walk-in closet. 2 underground parking spaces. 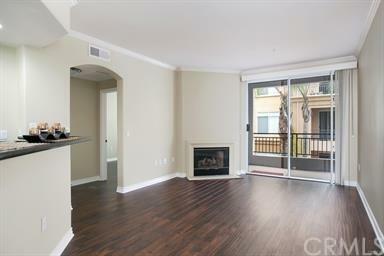 Located in the luxurious gated community in the Regents La Jolla complex. 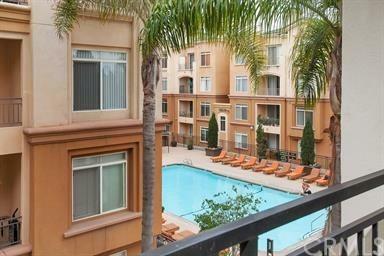 Close to shopping, freeway, and UCSD. Resort style living in this newly remodeled end unit offering 2 bedrooms plus an optional office or 3rd bedroom, wood flooring, custom paint, ceiling fan, track lighting, crown molding, A/C, in-unit laundry, and hall bath with roman tub and tile flooring. 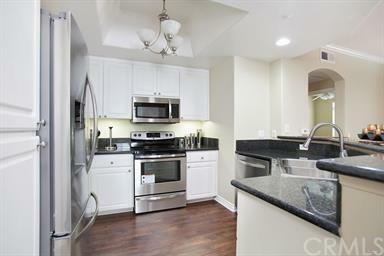 Kitchen embraces granite counter tops and brand new stainless steel appliances and opens to a family room. Deluxe Master bedroom offering a walk-in closet, bathroom with granite counter tops, roman tub, tile flooring, as well as custom lighting and mirror. Conveniently located parking spots right next to elevator. Exclusive access to community pool, spa, built-in BBQ, recreation room, and exercise room. Listing provided courtesy of Lucky Real Estate. Listing information © 2019 San Diego MLS, Inc.